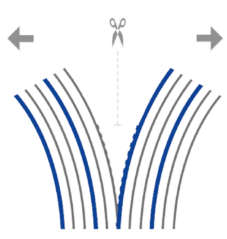 once torn or cut a zipper effect frequently occurs – the mesh continues to tear (mesh rupture). This does not happen with DynaMesh® products. 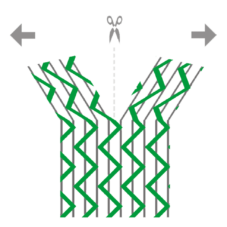 The multiple meshing technique used in our warp-knitted structures does not allow this unwanted effect to occur in the first place. Tear propagation resistance is one of the basic properties common to all our implants.